Did you catch the solar eclipse on May 20? Did you vow not to look into the sun only to find yourself tempted to sneak a peek? Because here's science: While Venus is pretty close to the Earth in size, and the moon is not, Venus is much further away from our home turf, meaning it'll be just a dot against the sun, where the moon, being closer, blocked a chunk of the star, which made sense, given that the lunar rock is so much closer to us. Phew. We knew those astronomy classes would come in handy one day. 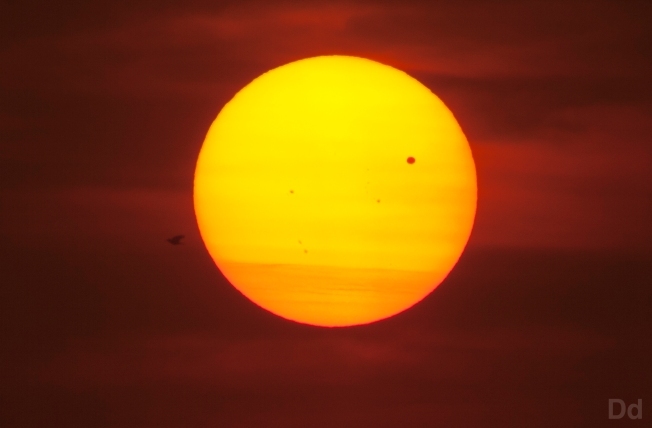 "It means Venus, the sun and the Earth are all in exact line, and you see if you are looking safely through the proper filters," said Dr. Ed Krupp, Griffith Observatory director. "You'll see this little black dot creep onto the face of the sun and over the course of the next few hours gradually move to the other side until the sun sets and we lose it." 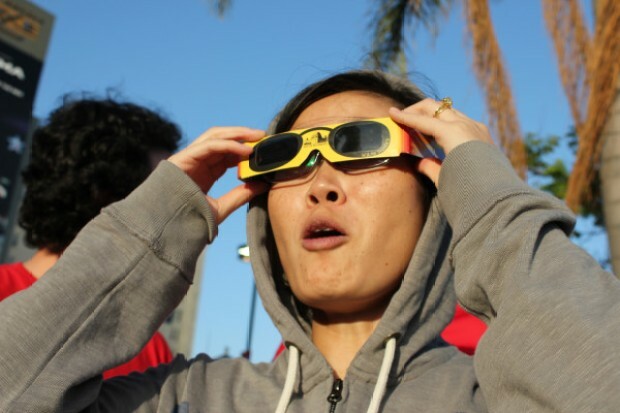 Griffith Observatory set up a public viewing Tuesday, allowing skygazers to view the passage safetly. 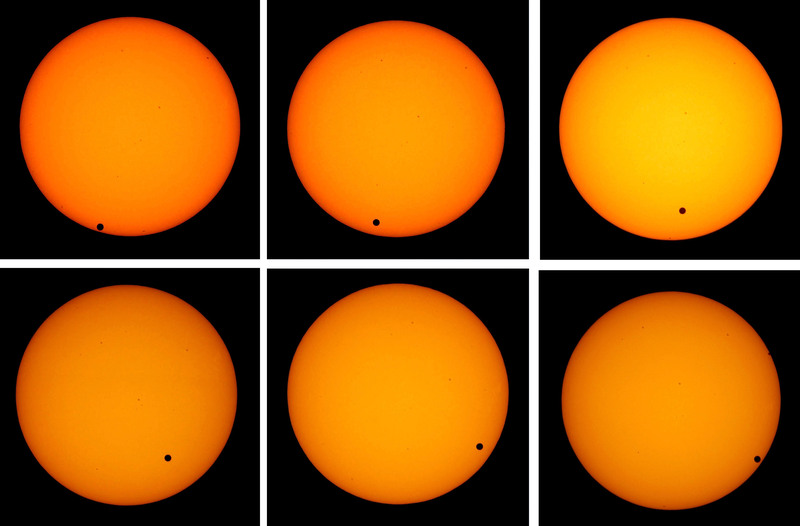 Venus began inching across the face of the sun at 3:06 p.m. local time and the telescopes were out on the big lawn. A coelostat, which is a device with mirrors used for solar events, was also be used to look into the face of the sun.